I want to make some video’s of my trips. Starting with London in about 2 weeks. This is a short video I’ve made in Playa del Carmen, Mexico of Basico. This is their lovely rooftop terrace. What do you think? Good idea or not? And do you want to see me in front of the camera? Or only interior? Private beach with a lot of colour. When I was in Mexico everybody was talking about Al Cielo – a 20 minutes drive from Playa del Carmen. This is a hotel with only 4 rooms, a small restaurant and a cool beach. Why cool? 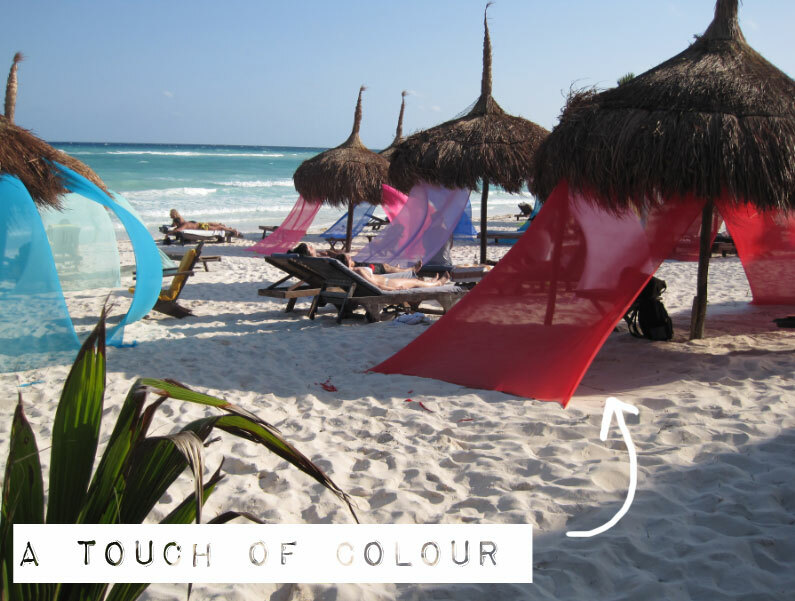 The water is clearblue, but the daybeds are covered with colourful shine through sheets which gives you an immediate happy feeling. You can only come here if you make a reservation. Perfectly done to keep the mass away. The furniture. 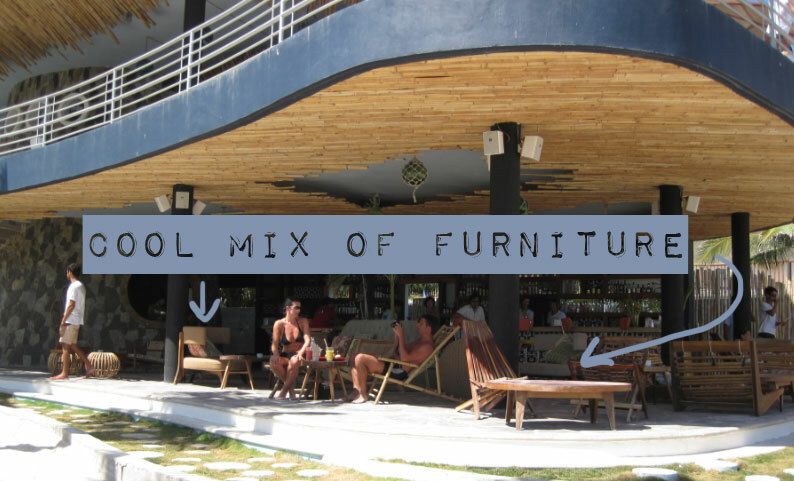 It’s a mix of vintage chairs which gives this beachclub in the far north of Playa del Carmen beach a bohemian flavour. The girls who work here are all beautiful tanned (yes ofcourse, they work on the beach all day) and they wear a sort of American Apparel jumpsuit that you immediately want to have for yourself. The owner looks like Jesus (the ex of Madonna not the son of Josef and Maria) and he takes care that you enjoy the fish taco’s. Made by a chef who once works for Nobu – the famous sushi restaurant. 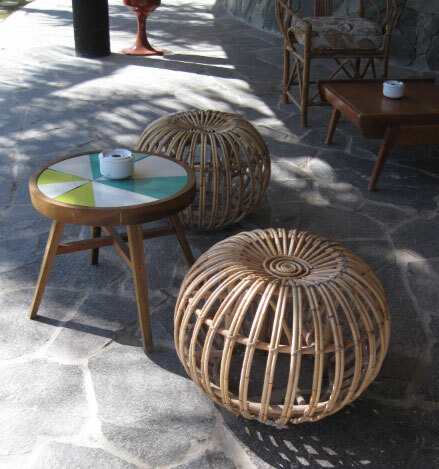 You can sit here all day – if not your whole holiday. 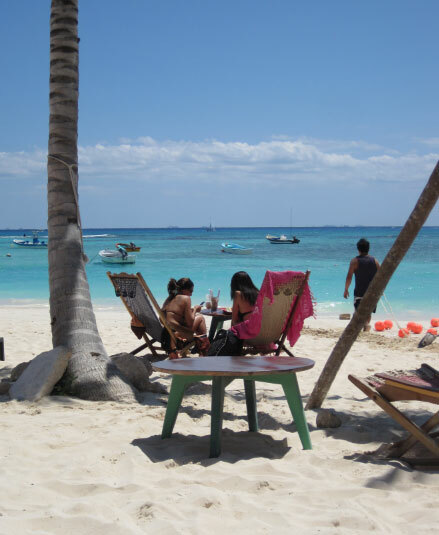 Located on the northern end of Playa del Carmen beach. You can find them on Facebook. The 15 rooms. Basic as Gwyneth Paltrow without make-up. You can see the electricity cabels and the water taps running. The curtains are made of rubber and the floor in the lobby is made of old tyres. The rooms all have floor-length windows so if you like being watched, you will like it here. If you’re not staying here, you can also come up for a cheap lunch.